Last week, Townhall reported the senseless killing of Weymouth, MA police officer Sgt. Michael Chesna on July 15th. More than 3,000 people attended a vigil held in Chesna's honor this past week, but it turns out his alleged killer, Emanuel Lopes, should have been in jail due to violating the conditions of his bail on a drug-dealing charge from October 2017. The Boston Herald reports that Emanuel Lopes was arrested in October 2017 for dealing cocaine to minors. As part of his bail conditions, Judge Jeanmarie Carroll required that Lopes refrain from all drugs, including legal medicinal marijuana, and be subjected to pre-trial probation drug testing. The bail was set at $500 and was supposed to be revoked if Lopes failed to comply. In February 2018, Lopes failed a drug test, but claimed that he had a medicinal marijuana card at a court appearance in April. But, Lopes' prosecutors did not recommend bail revocation. "I tested Mr. Lopes. He was positive for marijuana. He reports to me that he has a THC card,” probation officer Michael Walsh informed the court Assistant Norfolk District Attorney Arthur Czugh ultimately decided against recommending his bail be revoked. Thus, Lopes was able to roam Weymouth freely. Three months later, he was pulled over by Sgt. Chesna for driving erratically. Lopes exited his vehicle and attacked Sgt. Chesna with rocks, knocking the officer to the ground. The suspect then allegedly stole the officer's gun and fired at him, which led to the officer's death. Authorities say that Lopes then shot and killed a nearby 77-year-old neighbor, Vera Adams, who witnessed the event from her porch. But, Republican Gov. Charlie Baker defended the court's decisions, saying, "As I understand this, this is a decision that ultimately belongs to the courts. Her decision was made within the bounds of the discretion that she has. For me the question is whether or not we're doing enough to put enough tools in the toolbox for district attorneys to make decisions about dangerousness and to pursue hearings about dangerousness. That's where the opportunity I believe rests. "What she did, in the end, was a horrible mistake," Baker added. "But it was within the bounds of what she's allowed to do as a judge given the circumstances of the situation that involved that kid in front of her... I don't like the decision she made. The impact of that decision was horrible. But it was made within the framework of the system as it currently exists, and for me, that means we need to do something about the framework." "I know how frustrated and pissed off everybody is about this, and I am too," Baker continued on a local radio show this past week. "But the thing people need to remember here is, what are you gonna do about it? The thing we ought to do about it is take this notion of dangerousness and include it in the process, rather than simply focusing on the immediate thing." "Anybody who doesn't look at this situation and the circumstances around this, especially if they're in public life, without regret and disappointment and dismay isn't paying attention. And I certainly have a big dose of all three," Gov. Baker remarked. 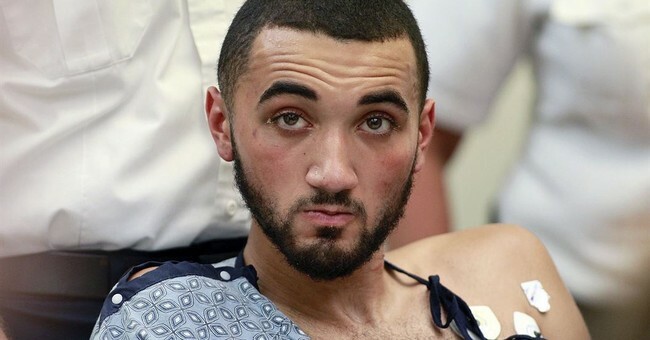 According to the Boston Herald, Lopes is now held without bail after pleading non-guilty on Tuesday.